None are safe from the will of Goat. Coffee Stain Studios revealed this week that its surrealist anti-sim Goat Simulator is primed for release this spring on the Xbox One and Xbox 360. Originally released on April Fool's Day last year, Goat Simulator combines a mundane real-world setting with a combo system straight out of Tony Hawk's Pro Skater. This result is anything but mundane, as players control a goat who is able to leap, flip, fly, and leave a swath of chaotic destruction in its wake. The Xbox versions of Goat Simulator will likely retain the split-screen co-op mode patched into the PC version shortly after its initial release. It's twice the chaos, and twice the fun. All hail Goat. 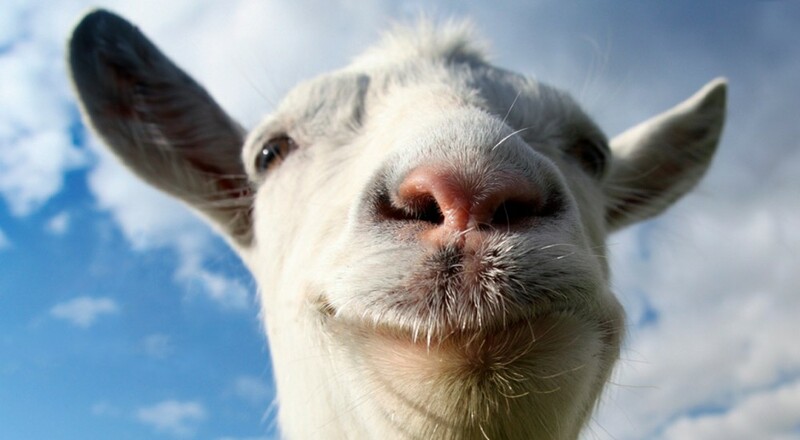 Goat is life. Page created in 0.7451 seconds.